Before trying to look for the “best” type of ukulele on the market, it’s important to note that there’s really no such thing. Tenor ukes give you some intriguing advantages, but they’re not necessarily better or worse than the other types, and choosing them is usually a matter of preference. 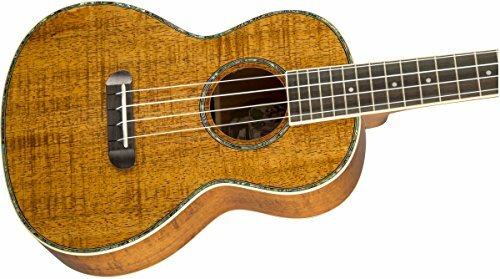 That being said, there’s a lot to be considered regarding the quality of the craftsmanship, the sound, the durability of the wood and many other important factors that will determine whether or not you should buy a particular tenor ukulele. 1 Why Would You Consider a Tenor Uke? Why Would You Consider a Tenor Uke? When it comes to buying a ukulele, there are three popular choices you can make: getting a tenor, concert or a soprano uke. So why is it that some aspiring and expert musicians would express their interest in a tenor uke? First of all, tenor is the largest of the three sizes, and anyone interested in becoming a professional player and musician will likely prefer it. Also, because of its size, the tenor scale gives you a lot more room for a wider array and variety of songs. The fingerboard presents more of a challenge, but once you’ve mastered it, you can play just about anything you want and join the ranks of famous musicians the likes of Jake Shimabukuro and James Hill on your way to greatness. Unfortunately, it’s not always easy to choose the best tenor uke out there, and with the price being slightly higher and so many new brands becoming available as of late, doing your research properly has never been more important. This uniquely and beautifully fashioned ukulele uses a koa top made from hand-picked koa found on the Big Island of Hawaii. The refined craftsmanship combined with high quality wood, maple trim and laser-etched mother of-pearl inlay work together to create a visually appealing tenor uke that sounds even better than it looks. Despite its comprehensive design, the Kala KA-KTG only weighs about 2 pounds, and has been crafted to work just as well at home as at the studio or even in areas where the acoustics are impaired. Experts consider it to be a perfect choice for layering on top of classical and acoustic guitars in professional recordings. Very few other ukes have achieved the kind of feedback that the Kala Koa is responsible for. A large majority of the people who have bought it consider it worth a 5-star rating, and its fine appearance, laminate koa design, D’Addario strings, ease of use and surprising quality sound are among the most praised features of the ukulele. 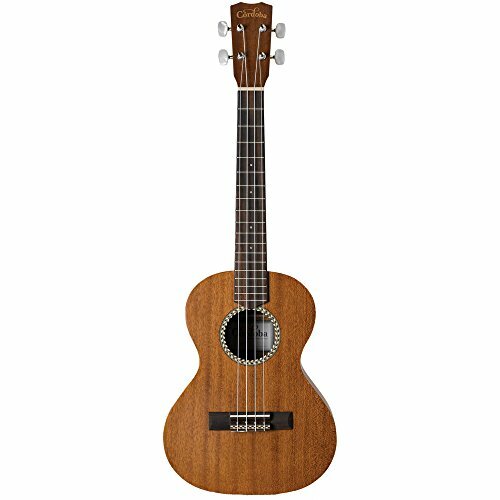 Despite being priced below average when compared to other high quality tenor ukes, the Cordoba 20TM tenor ukulele has got it where it counts. It features a solid mahogany top and neck, quality Aquila strings, a rosewood bridge and fingerboard, a natural satin finish and a strong, durable overall design that promotes durability. There are several things that might attract you to this ukulele. The Cordoba 20TM has an outstanding design and construction that have been praised by reviewers worldwide. It also has a massive table, the mahogany sounds surprisingly good, and the appearance of the wooden top and the aesthetic finishes will make you feel like you’re holding a genuine showpiece. As with other Cordoba models, solid mahogany is the material of choice in the case of this high quality tenor uke as well. The entire design of the 30T is handmade, featuring a Spanish heel neck joint and a wider fingerboard than similar models, designed for better playability. The rosewood bridge and binding, and the hand-rubbed PU finish, are all designed with aesthetics and increased durability in mind. The lighter than usual design inspired from the construction of Spanish and classical guitars is part of what makes this tenor uke so appealing to both professional and amateur musicians and ukulele enthusiasts. 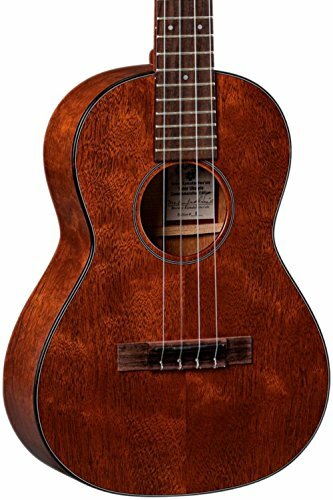 The craftsmanship and attention to detail and the beautiful, surprisingly loud tone of the Cordoba 30T also shows the manufacturer was on the right track developing this first ever version of tenor ukulele. Yet another Hawaii-inspired ukulele, the new Fender Nohea uses a unique construction based on a koa design and acrylic abalone binding. 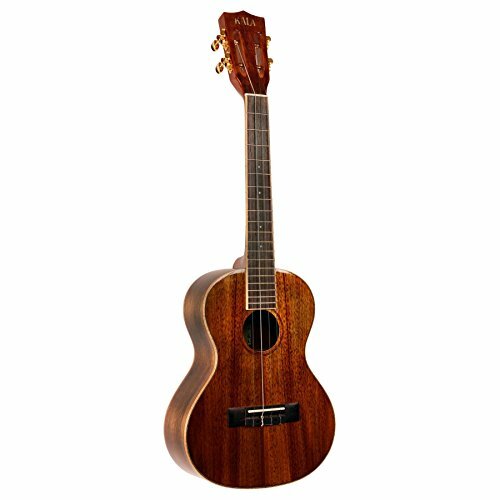 The tenor uke has a rosewood bridge and fingerboard, mahogany neck and a sleek, gloss polyurethane finish that makes it stand out. With die-cast tuners, high quality Hawaiian GHS strings and a laminated koa top, you can expect the sound quality to be well above average. Reviewers have praised this uke for its consistency, as well as its quality tone and sustain. The reliable design exceeds all expectations when considered next to the cost, and most experts consider that its playability and ease of use are ideal for learners, while the uke still retains the superior performance that professional musicians would require. When it comes to beauty and refined quality, very few ukes can compete with the sleek, textured quilted mahogany top design and mahogany block construction of the Martin 1T. The sound is definitely unique, and the instrument comes in a beautiful leather hard case that will make it easy to take with you, whether you’re on tour or traveling to remote areas. Professionals and aspiring musicians who have tried this ukulele were impressed by its tone and by the remarkable care and attention to detail associated with its construction. If you really want to put on a show that will dazzle your fans, this is one of the best tenor ukuleles for the job. 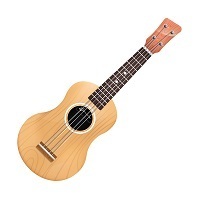 Most of the ukes on this list are averagely priced, but offer performances that are well above the normal expectations for the pricing range in question. If you want durability and ease of use, you’ll probably love the Cordoba designs, you can see our list of the best Cordoba Ukulele here. Products like the Martin 1T IZ and the Kala Koa may give professional players more than they’ve bargained for. Regardless of your preference, these are all among the most well-designed and beautifully crafted ukes on the market, and any one of them can be an extremely inspired choice should you choose to buy it.